Cricket Players | The International Cricket Hall of Fame. Whether batting or fielding, the team as a whole relies on a highly specialized mix of individual skills and qualities. 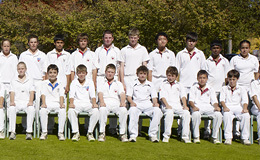 Cricket is played between two teams, each with 11 players. Whether batting or fielding, the team as a whole relies on a highly specialized mix of individual skills and qualities that combine to give the game its unique character and appeal. Generally defensive, technically correct players who ‘take the shine off the ball’. ‘All-rounder’s’ who can both bowl and bat with skill, and batters who specialize in playing against slow bowlers. The most adept batters and the biggest scorers in the team. 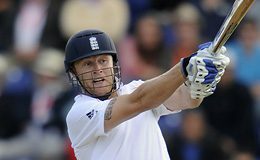 The least able at batting (usually specialist bowlers), who can sometimes make quick runs. Players who bowl quickly with the new ball using its shine and prominent seam to extract swing, bounce and movement off the pitch. Are generally quick runners with strong throwing arms who often seek to prevent the ball crossing the boundary, which registers four runs. They are also skilled at catching big, lofted shots. They are generally upper order bowlers. 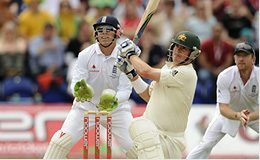 Outfield positions include deep midwicket, long-on, long-off, extra cover, third man or fine leg. 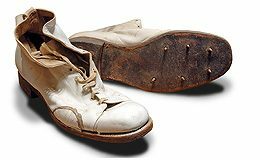 Bowlers who can vary pace, line, length, swing and seam to confound the batter. 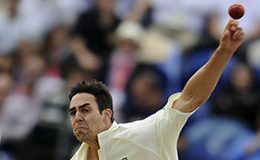 Bowlers who give a spinning action on the ball (either off or leg-spin) using their wrists. Wrist spinners generally turn the ball more dramatically than finger spinners but are less accurate. Shane Warne is a rare exception. Apply pressure to the batters by preventing runs and taking reflex catches. They are generally small in physique with quick reactions and are often upper order batters. Infield positions include the slips, short-leg, bat-pad, silly mid-off or silly mid-on. 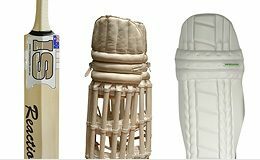 Cricket players have different equipment depending on what position they are playing. 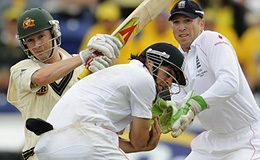 Players that are battling usually wear a helmet, leg pads, protectors (often known as a ‘hector protector’). 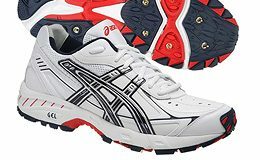 Most players also have special shoes, which include sharp spikes on the bottom for greater grip on the wicket and on the field. Over the years, the technology and craftsmanship of cricket equipment has changed. On the left are some comparisons of old equipment to that used today.